Two jobs running unit tests in parallel on stage 1. One job deploying the application to Heroku staging. One job testing the staging deployment on Heroku. One job deploying the application to Heroku production. 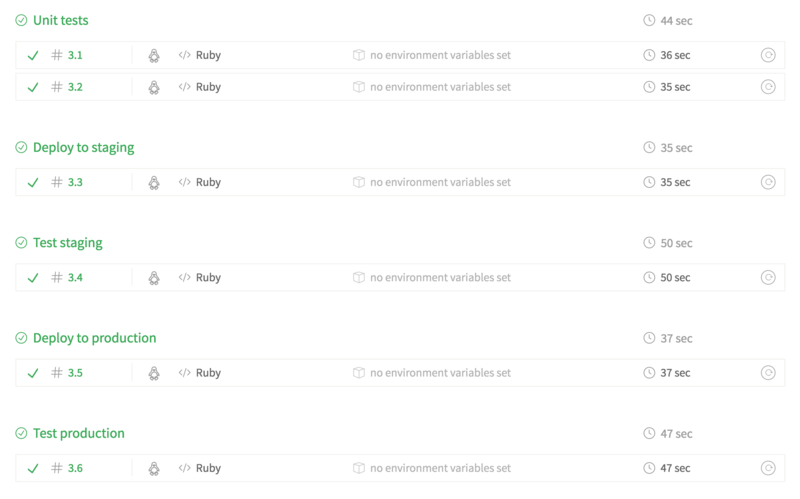 One job testing the production deployment on Heroku. script: "Running unit tests (1)"
script: "Running unit tests (2)"